just hanging, on the nile river, of course. two of the coolest people ever : Oliva and Suz. 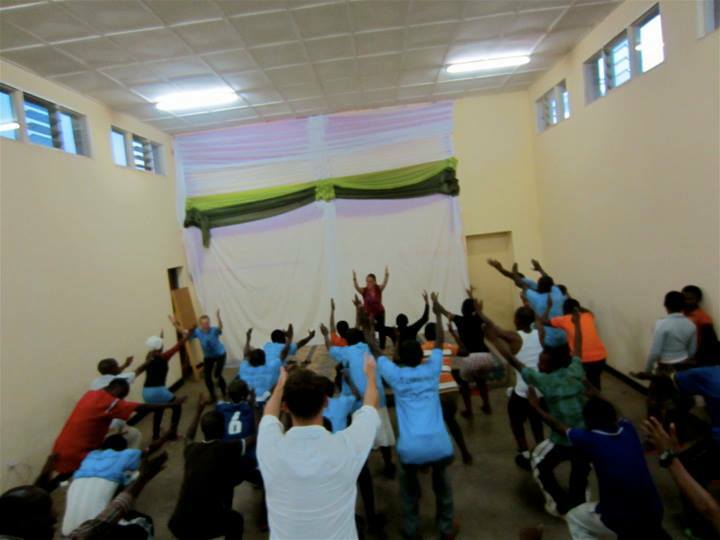 leading a zumba/insanity/strength training/yoga session during the kigali marathon weekend. the glow girls (divine, yazina, josiane, zahara, eugenie, clemantine, and maisara): some of my favorite people in the world. ruramira secondary representing at the kigali marathon. taylor and I during my last visit to my host family. kigali marathon folks at amahoro stadium in kigali. OIiva, a girl after my own heart. She knows how to work the camera, no doubt. 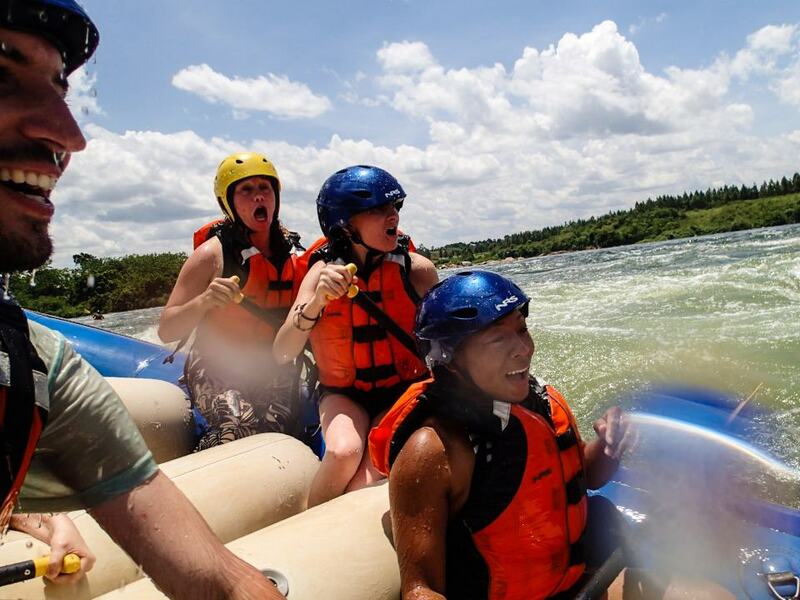 white water rafting in uganda. this is pretty much how it went down. 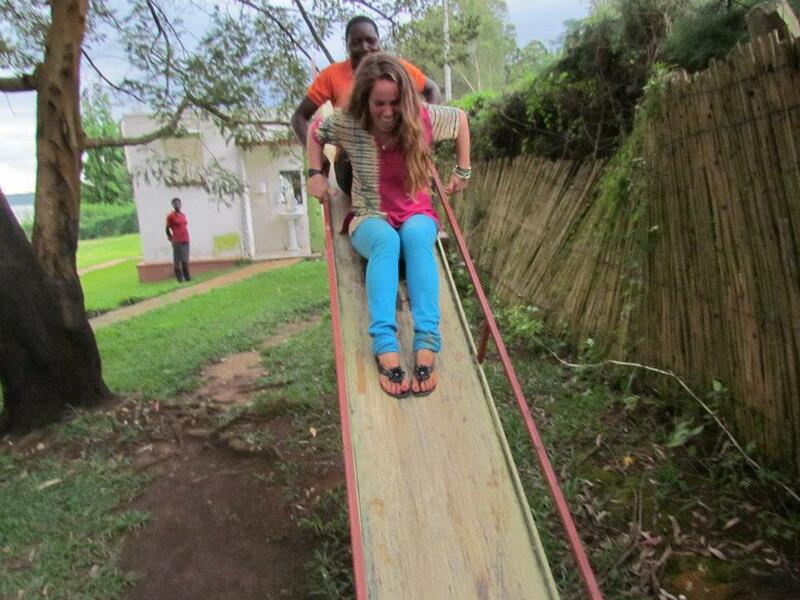 leading Divine down the slide – her first time on such a thing! So fun. having a photoshoot during our life skills session for the kigali marathon. I have been unable to post recent photographs that I have taken because my memory cards are infected with a lovely virus and so I thought I would post a few of my favorites that have been taken by other volunteers the past couple of months. In summary, life is good. Enjoy. 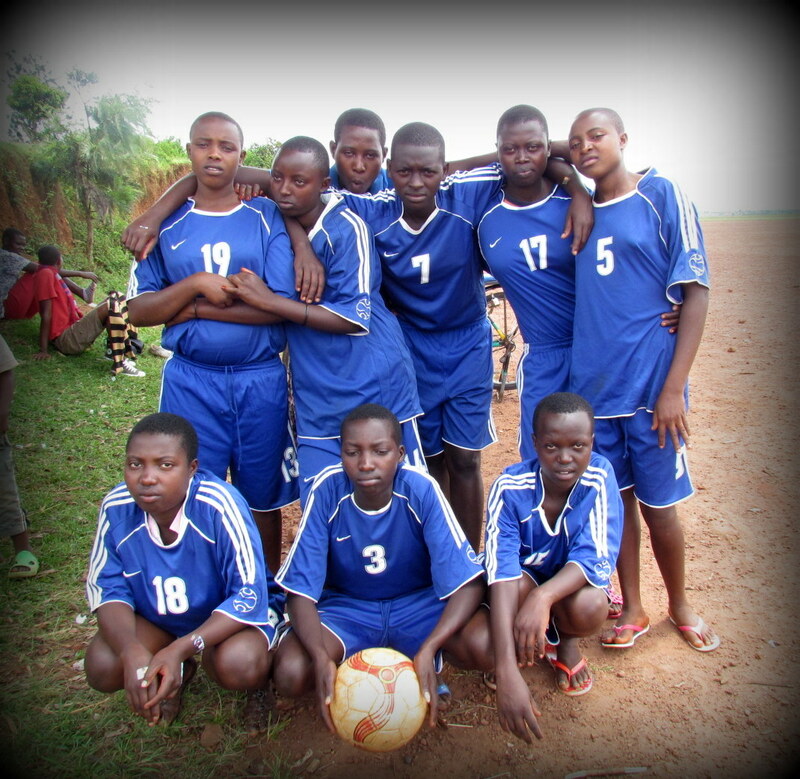 the girls football team ready to play in a match right before we began the school holiday. 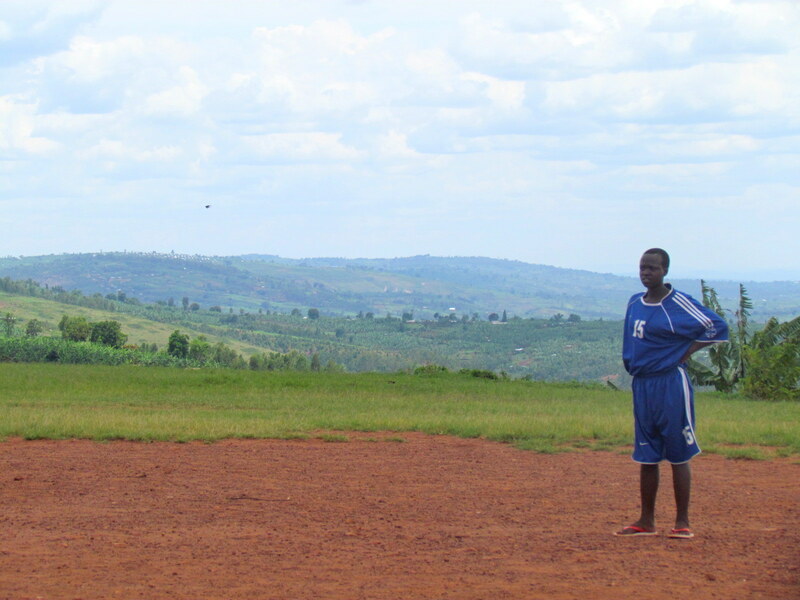 beautiful rwanda & football = a great combination. I’ve been on a journey/travel/holiday/break/adventure/whatever you want to call it for over 2 weeks now. Maybe it’s three? I’m not really sure anymore. The day I left Rwanda I attended a wedding (typical; because that’s what I do) and I was fresh off a motorcycle accident that left my body with too many aches and bruises to count. I had also finished my 4th term of teaching in Rwanda. 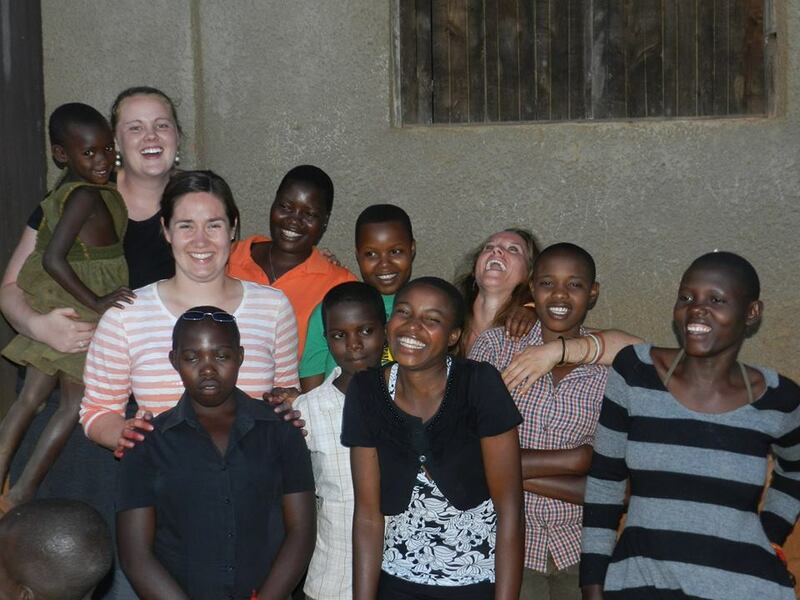 And with all of the happiness and joy that I have felt while living and working in Rwanda, I was completely and utterly burnt out. I was tired. I was ready for a break. 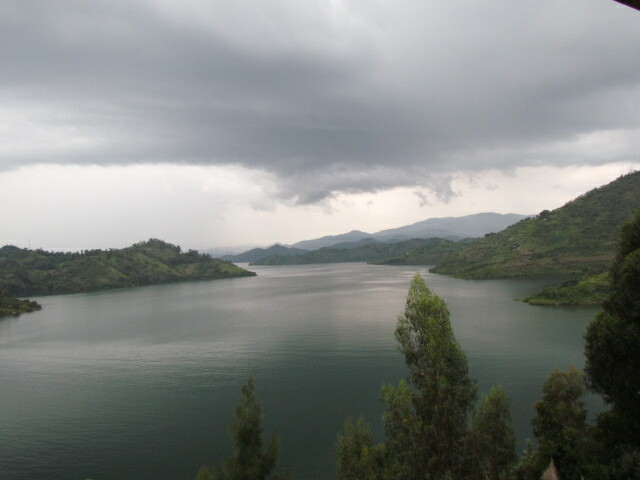 My holiday started in Rwanda, actually. 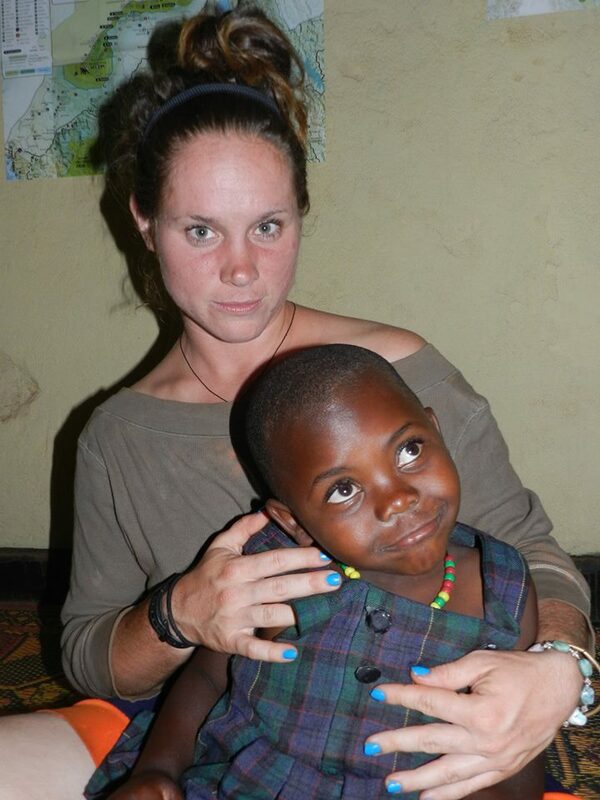 The day before I even left for Uganda. Two of my friends (Divine and Yazina) and I traveled to a nearby lake for some relaxation, good food, and a photo shoot. It was there first trip there and they loved it far more than I think they thought they would. I was sad to not be seeing them for several weeks and so I wanted them to have a chance to celebrate our time together. After our photoshoots, food, and playing on swings came to an end, I packed up and left. I was Uganda bound, and after a few days there, I would be leaving the African continent for the first time in 19 months (or something like that). I’m still processing everything I’ve been doing, seeing, and above all, eating. Y’all. I have been eating so much food. It’s glorious. 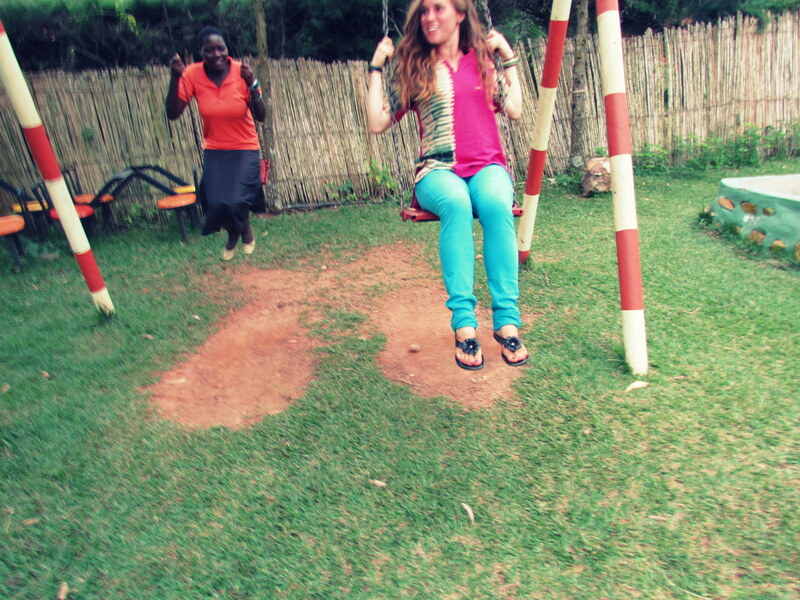 I have ventured out of Uganda (with an experience of seeing the Nile and bungee jumping!) and onto England to stay with Michelle for a couple of weeks. My time here is about half-done and we’ve been to Paris and back, visited Oxford, have walked around her village, had a tea party, viewed a showing of ‘Lincoln’, and my favorite part, have just spent time together catching up. Like I said, I’m still soaking up the Western world in all its glory and so really, I’m just enjoying myself. It’s good for me. Sometimes, I think I think about things too much, so for now, I’m just taking each day as an opportunity to be with a really important friend in my life, get a better grasp of her own life, and take a break from the life that I will be going back to next week. I think I’ll be ready. Maybe more earnestly, I hope that I will be ready. Describing Rwanda is proving difficult, but no matter what, it’s my life and it’s thoroughly important to own your life and be proud for what it is. And I am. Here’s some pictures from the last couple of weeks that hopefully paint a good picture of what I have been up to. Cheers, y’all. divine and yazina at a nearby lake in the eastern province. we went for some R&R before i left for vacation. playing on the swings. being a kid. this is normal. 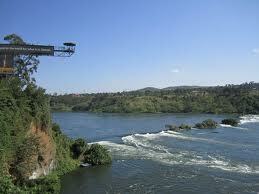 the nile river – uganda. 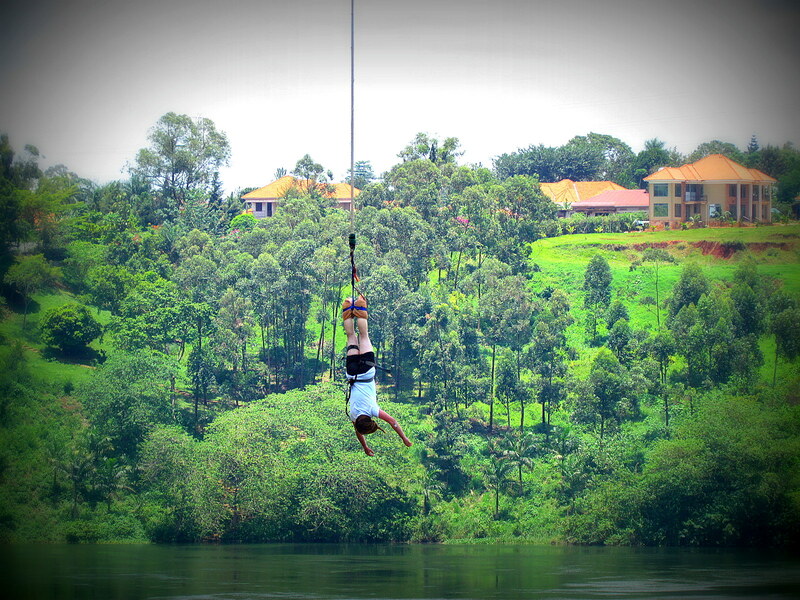 bungee jumping over the nile. crazy/cool/weird experience. my first meal outside of africa in a SUPER long time. 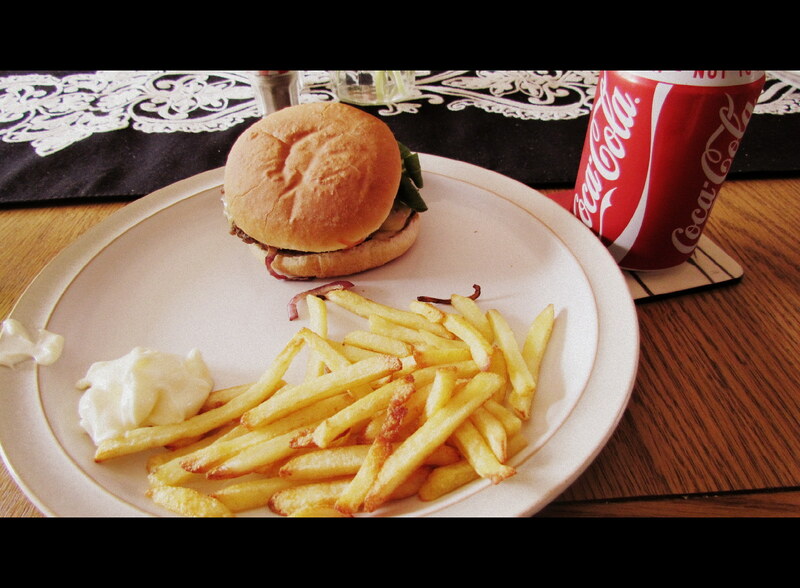 michelle spoiled me with a hamburger, fries, and a coke. americans rock. so. 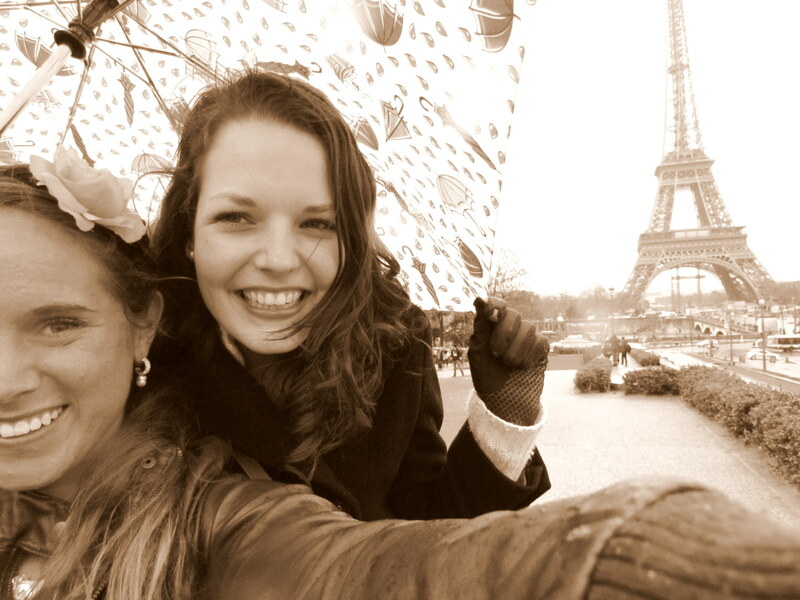 the newell’s (john and ashley) surprised us with a trip to PARIS! um. so this place is gorgeous. 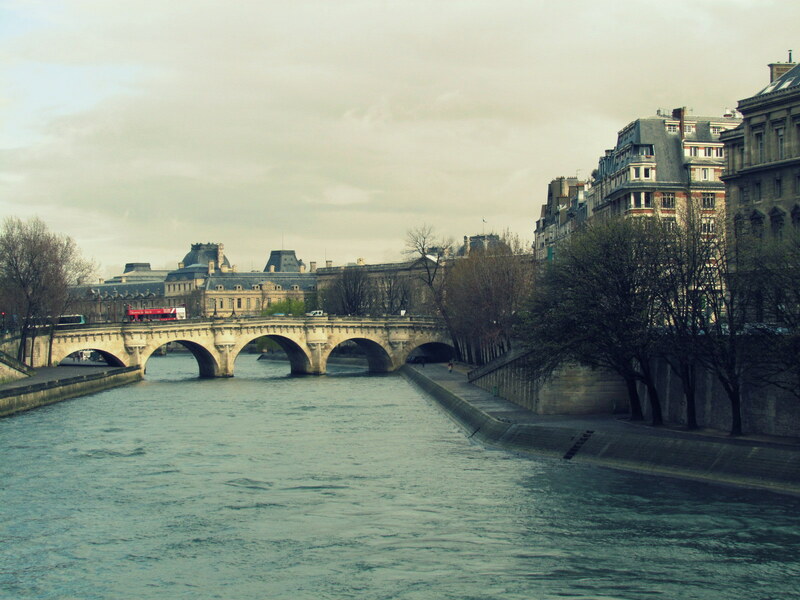 this is the seine river near the notre dame area. 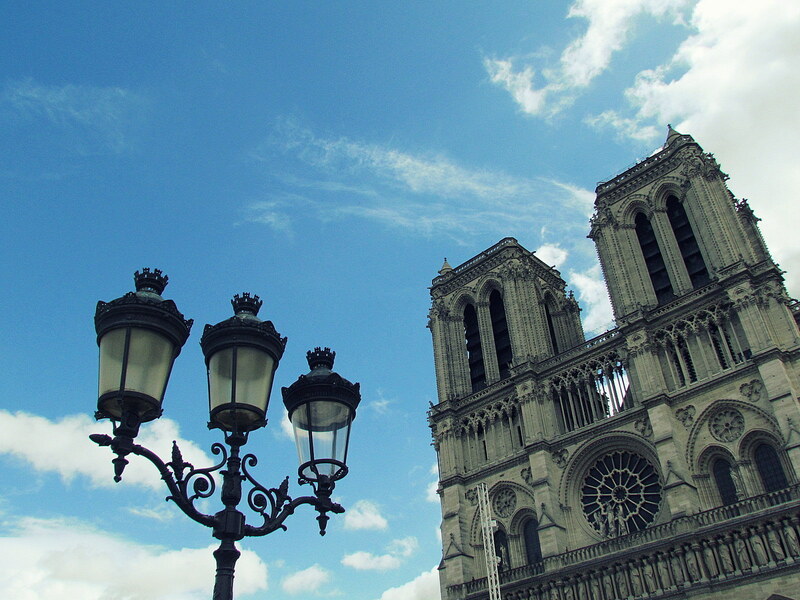 notre dame; and hey! here the sun was out! during our two-day stay it was raining most of the time. 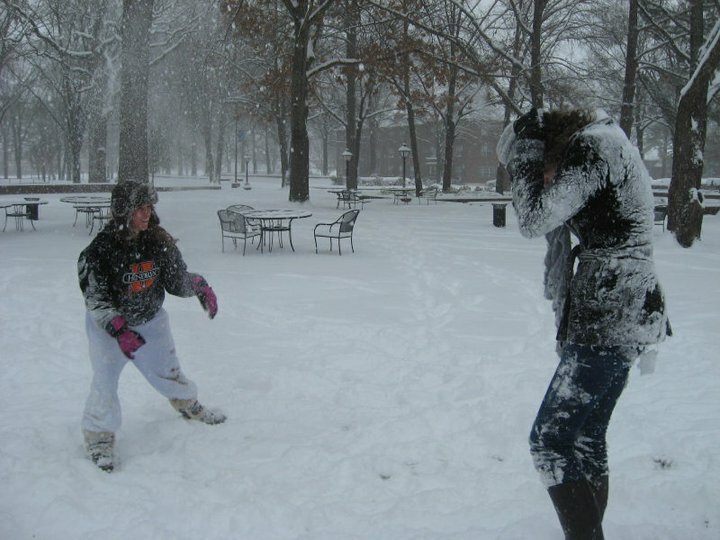 but don’t worry, this did not keep us down! love this picture! totally represents the amount of times we got lost (a lot)! 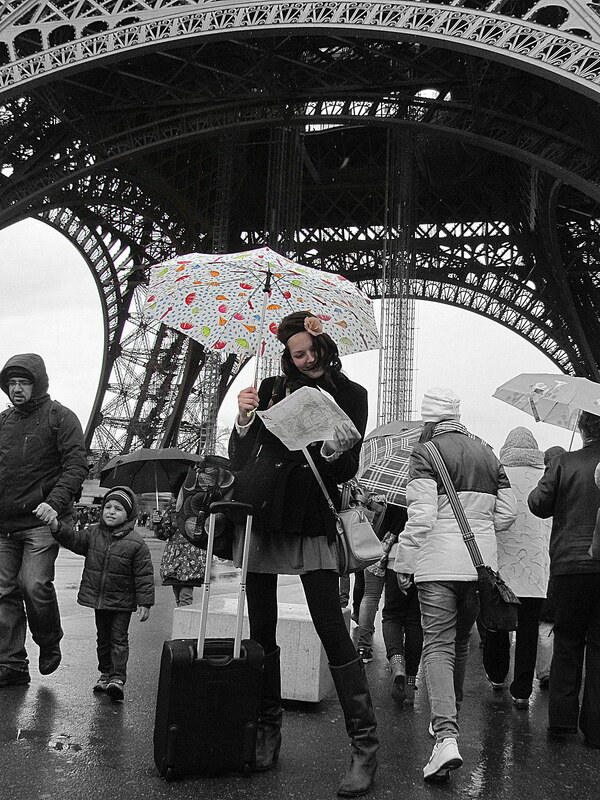 michelle and our dear friend the eiffel tower. we had more than our fair share of photo shoots! 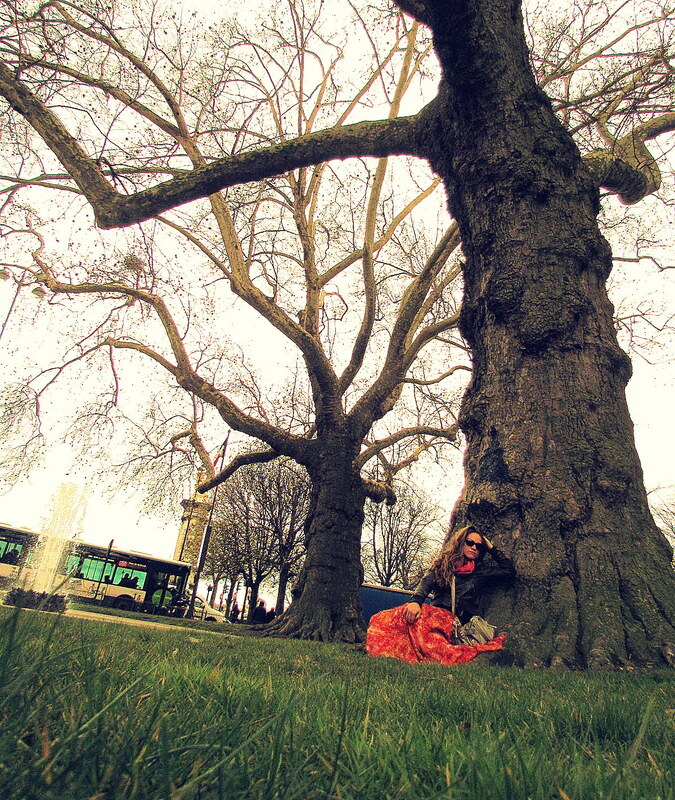 it’s pretty common knowledge i love trees. and so, this just seemed entirely necessary outside a couple of historic museums in paris. 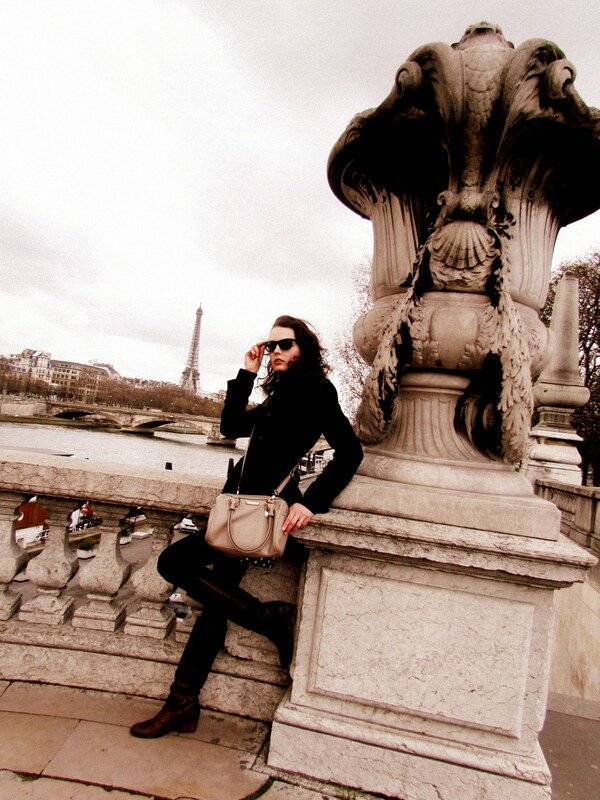 when in paris, right? 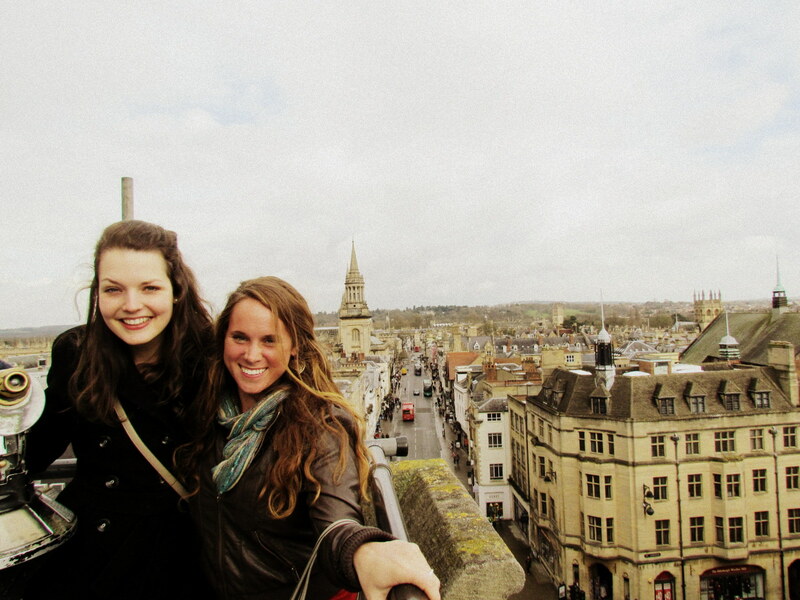 a pretty amazing feeling to be in such a invigorating place with a extraordinary friend. feeling pretty blessed. paris at night. trying to be marilyn monroe. 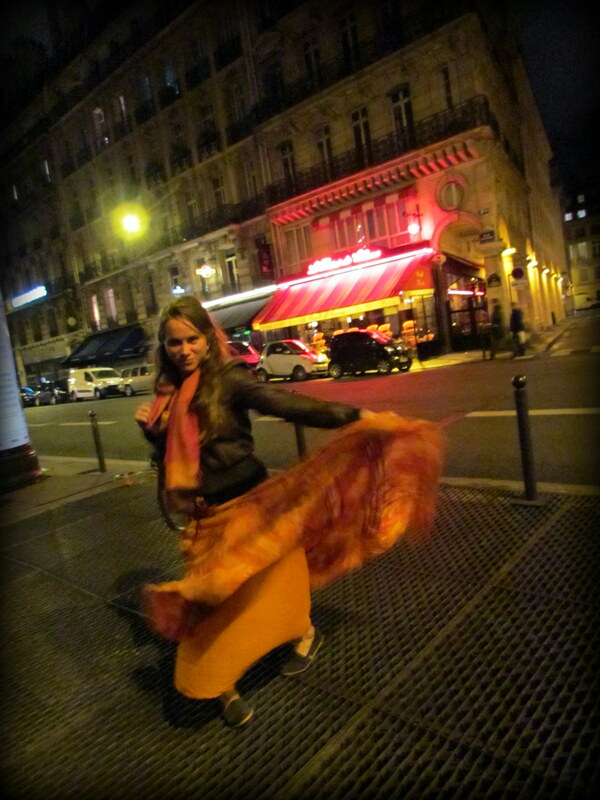 this was after a DELICIOUS dinner near the palais royal. our hotel was so cool! we stayed near the orsay museum in a really neat part of town. 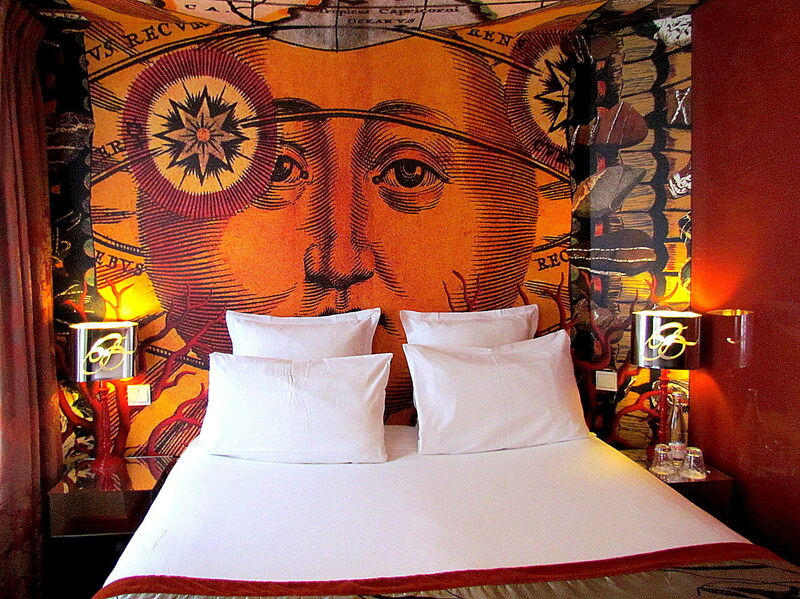 the rooms are finely decorated and i took one of the best hot baths. ever. 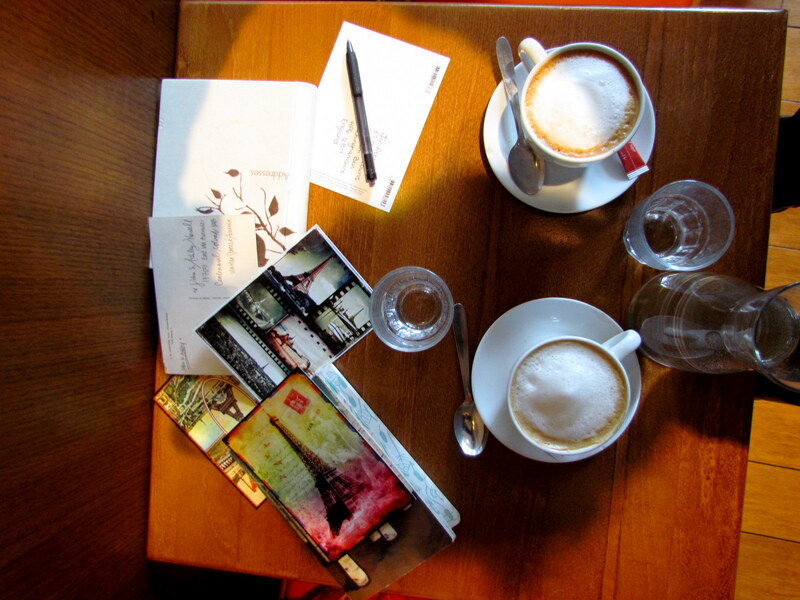 …and wrote letters to home at a little cafe. 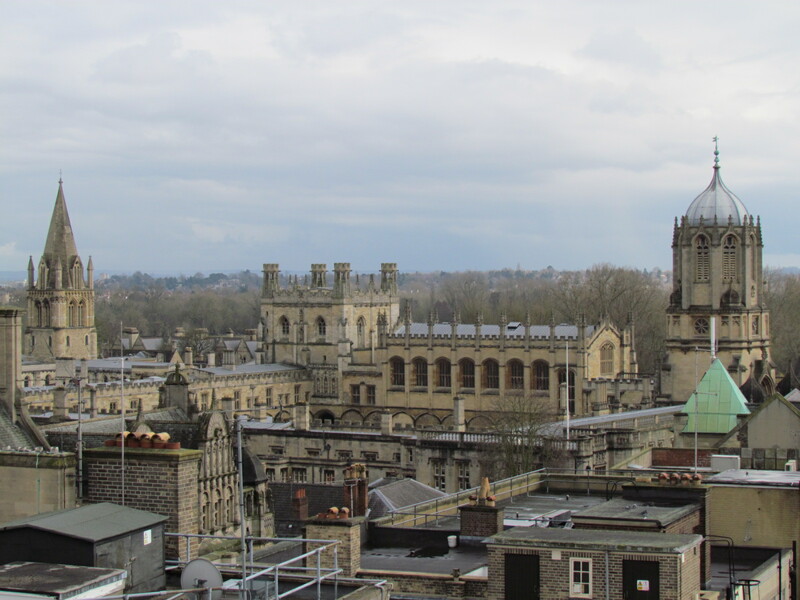 after our return to england we visited oxford–about an hour away from michelle’s house. 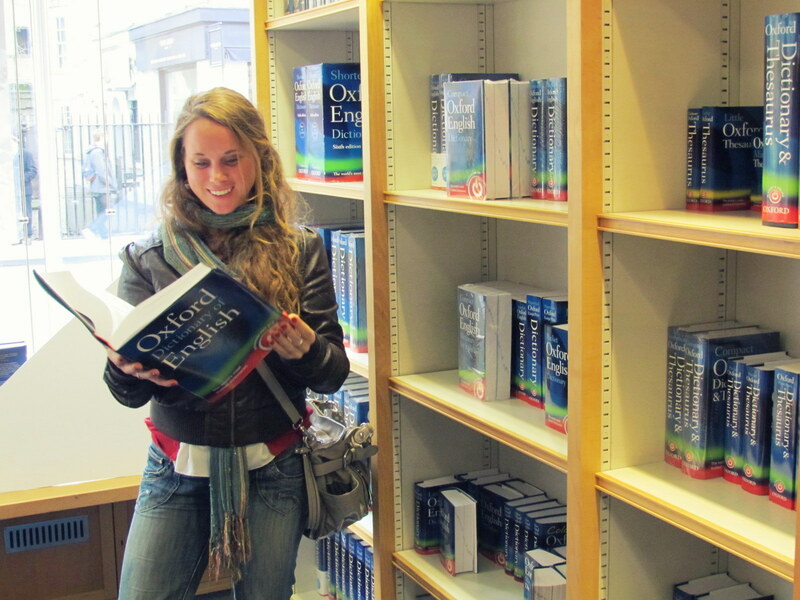 at the oxford university press bookstore. reading the dictionary. i knew this had to happen, of course. 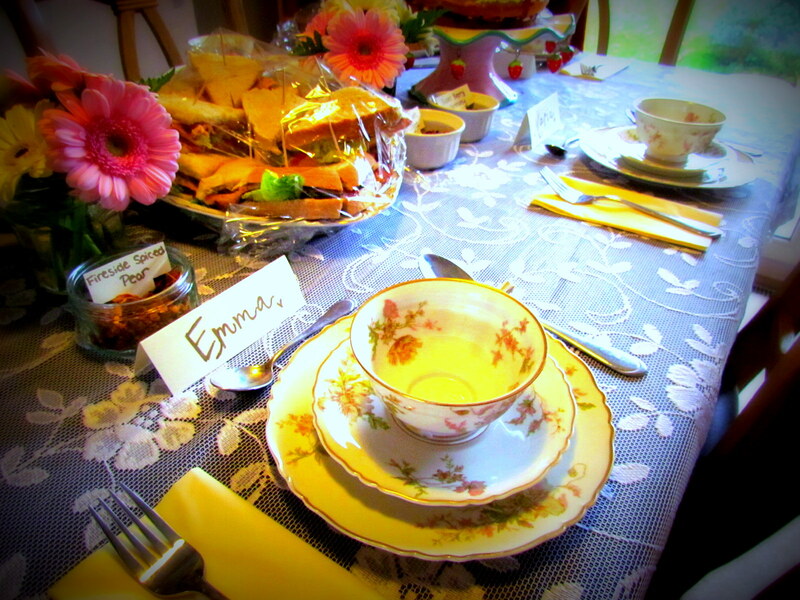 michelle also hosted a sophisticated, fun, and super adorable tea party–british style, of course! we had victoria sponge cake, cookies, tea (all sorts of flavors), and sandwiches. michelle had 3 of her girlfriends over and it was a lovely way to experience a very important british tradition. Except, not quite yet because I’m thirty minutes early to a local coffee shop (Anna’s Corner) in Entebbe, Uganda–about 40 km outside Kampala, Uganda’s largest city. Like any young woman traveling alone should do, I went with my insticts. 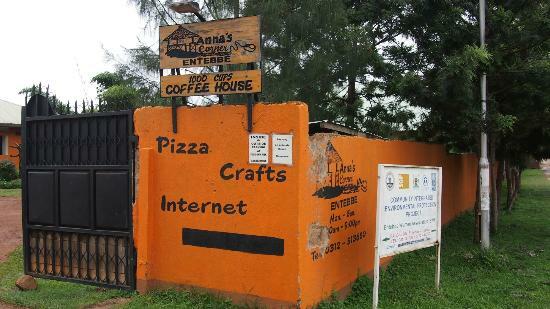 best coffee place in entebbe. so. good. After all, it’s after 7:00am and my body is waiting for some java. I boarded a small bus this morning (at some ungodly hour; around like 6:00am) from Kampala after all my travel partners and friends exchanged their tickets for a seat on the big red Jaguar bus headed back home to Kigali. They’ll be turning in their Ugandan Shillings and getting back to the good ole Rwandan Franc. I bid farewell while it was still dark, found a seat of my own, and coasted on into Entebbe. I’m here–not back in Rwanda–because I’m moving my travels up and out of Africa (my first journey outside the continent in say, 19 months) into London. I’m already practicing my accent. And, the roads in Uganda operate in the same confusing way as the UK (driving on the “wrong” side of the road) and so perhaps it will be slightly less trippy to experience after my few days of practice in Uganda. It’s weird being alone after backpacking for the past week with five other people (Sarah, Ella, Justin, Demetrea, Lyla, and Mike). Travel partners sure do help. They can give assistance when crossing congested city roads (I never was good at that) or shooing away pushy motorcycle drivers. Luckily, I have my “wolverine scars” (as I’ve been strangely calling them) from my motorcycle accident last week to repel drivers away. I simply lift both arms in unison and voila! Those guys apologetically motor on away to their next unsuspecting customer. I had really great travel companions this trip and we did so much in such a short amount of time. This last week, I went from being bruised and banged up, moaning from any movement in my bed in the village, to driving 10 hours to the country to the North, eating Thai, American, Chinese, and Indian food, drinking one too many Nile Specials (the local Ugandan beer), bungee jumping 44 meters, white water rafting the Nile River, perusing the chaotic streets of Kampala at night, and catching up on some much needed sleep. We met some really nice people along the way too. Many Ugandans speak English (and GOOD English to boot), are much more used to seeing foreigners (at least in the cities), and seem to be a bit more open than a lot of Rwandans I know. And no, this doesn’t mean Rwandans aren’t friendly, it’s just that Uganda operates under a very different set of cultural norms and the fact that Kinyarwanda isn’t a barrier for once, well, it does make things easier. As my group of nomads and I walked around, few people stared and really, few people cared. A welcome change, believe me. I also (still) can’t believe we bungee jumped. Originally, I was not going to do it. I was going to act simply as a source of moral support and comfort. That’s it, I told myself. However, as I photographed the jumps of my friends and cheered them on as they took the dive, more and more I just knew I had to do it. Sometimes you have to do uncomfortable things to get the most out of an experience, you know? And also, WHY NOT? And so I did it, though you can imagine that it was quite the dramatic display. While some friends hopped up to the drop off point and went for it following the countdown of the guides (essentially making the entire process appear completely seamless), I stalled a bit more. You sit in this throne-like chair before you go to jump (it’s here they put on all the safety equipment) and I was thinking I was a big shot. this is the chair you sit in before you jump. this isn’t me; real-time pictures of us to come soon! But I knew I was doing it–and I told the guides so–I just needed to go at my own pace. After around 20 seconds of heavy breathing, looking down, praying, and questioning my sanity, the guides counted down. 5…4…3…2…1………..and I leapt. It felt like nothing and everything at the same time. I was gliding but only for a second as the rope jolted me back up and down again. Physics at its finest. The Nile, trees, and nearby bar all faded into one and when I looked up at the clouds (and the point at which I jumped off) I couldn’t stop smiling. That wasn’t so bad, right? see that tower place? we bungee’d from that. yeah. Though I’ll probably never do it again, I’m glad I did it at least once. And, hey, it was on the Nile so I feel like that’s got to have some pretty cool Cleopatra vibe or something. Like I said, today (and until tomorrow around 6:30pm) I’m a solo traveler with nothing but time. Once I get my much needed coffee, I’ll hopefully get internet access so I can check my email and get the name of the hotel I booked for myself. I did just get the menu to this coffee house and not only does it provide the legend and story behind ‘qahwah‘ (the Arabic term for coffee) but it also has a seemingly endless array of choices (case and point: iced coffees, regular coffee from all of the surronding coffee-rich countries, different flavors like maple, vanilla, hazelnut, or chocolate, liquor-infused coffees, coffee with ice cream…). I might be here awhile. I need the hotel name because in classic Heather form I forgot the name after I made the reservation online a couple of days ago. I did book something nicer ($45 y’all, that’s big money in my little Peace Corps world) but I figured this would be best since I’ll be alone during my stay in Entebbe. 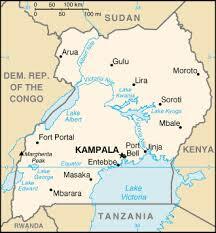 during our galvant in uganda, i was in kampala, jinja, and entebbe. 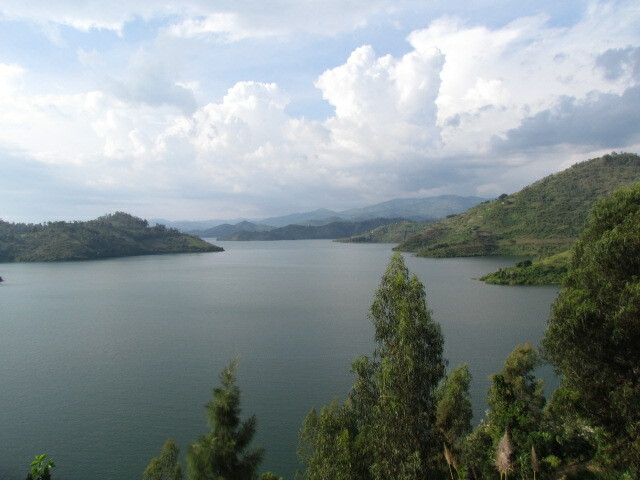 It seems that there is much coffee to be had and maybe even some scenic walks to take (I can see Lake Victoria!) and a first world journey to prepare for. Last week, when I left Rwanda, I was emotionally fragile, scared after the accident, and operating at pretty high stress levels. 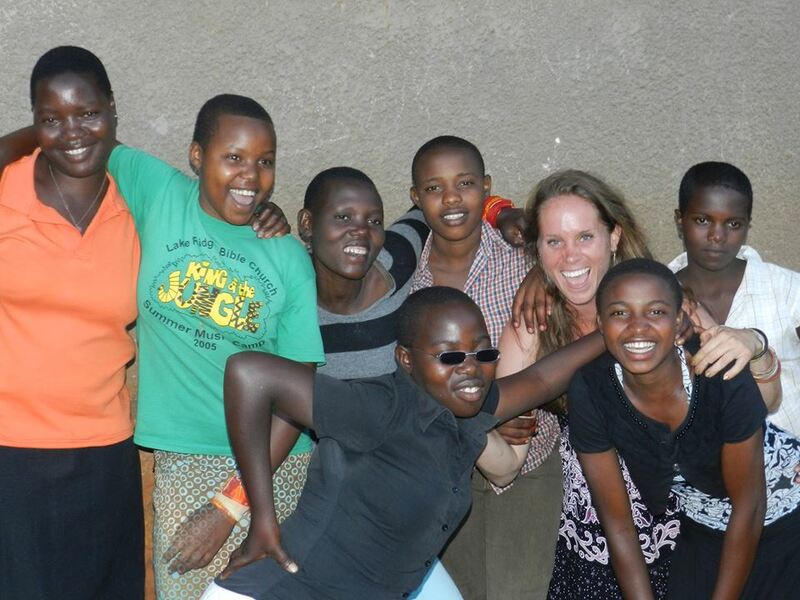 Already, I’m feeling better (and maybe even missing Rwanda a bit already? Really?). Maybe, after all, I just needed a break. 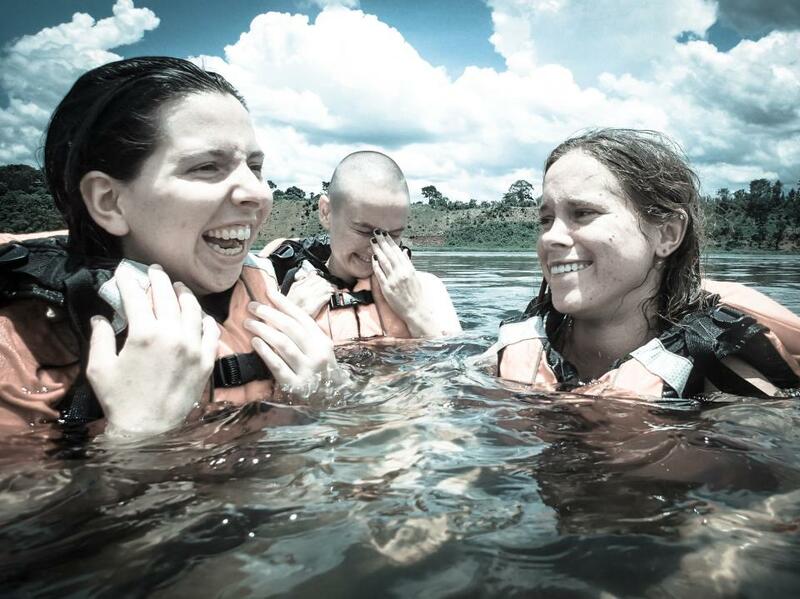 Knowing I’ll have nearly two weeks in London with Michelle, I can just imagine that the girl descending back upon Rwanda after these adventures will be refreshed, ready, and renewed. ready to see this girl again. IN SNOW, perhaps! not sure we’ll be having anything to do with the CAMO boots, but I am ready for Michelle-Heather antics to continue after a long hiatus. The sheets at Baby Blue Lodge are white crisp, thin, and mold perfectly to the grooves and lines of my body. 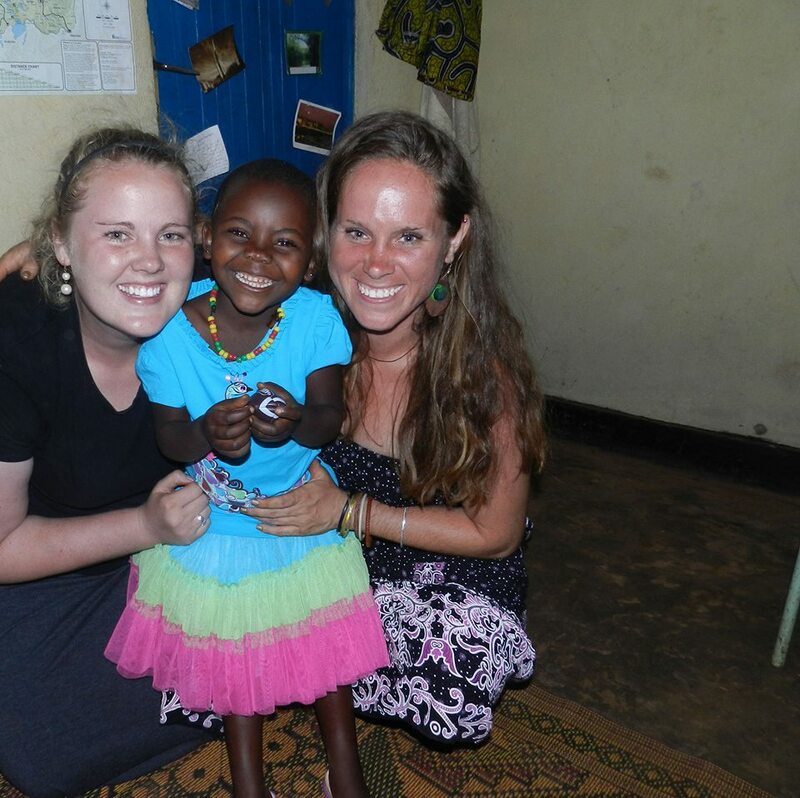 I’m sharing a king sized bed with Catie and Suzi and even with the three of us, I slept between the comfort of our sheets and the blue-lined mosquito net without any problem. I woke to the sounds of the ocean and Africa mixed together—seagulls crying desperately in sync with chickens calling for their loved ones on the ground. 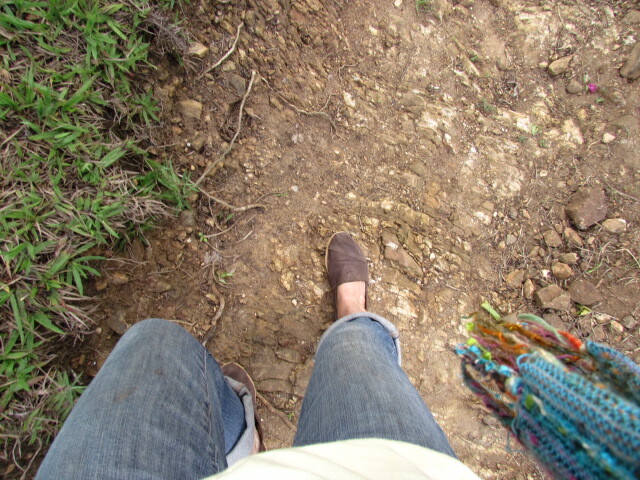 My feet touched the sandy colored dirt hollow floor and I smiled. We are here. We made it to Zanzibar. 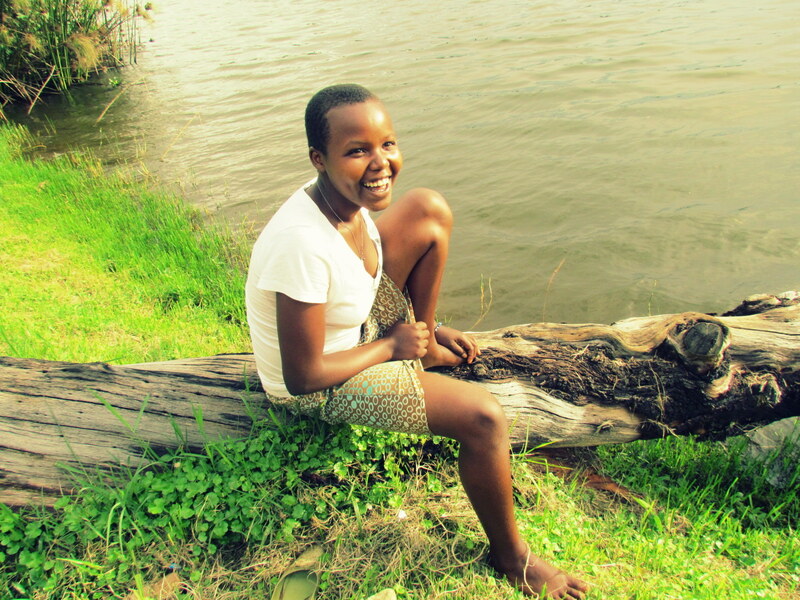 Before we met the Indian Ocean, far before I could relax with a Safari Lager (a Tanzanian brew), and pre-bathing suit, we started our journey from the Peace Corps office in Kigali. I had come in on a Monday afternoon after I was able to submit my final grades for my students in the second term. I came into town dismayed to find that the burrito place is closed for some reason on Mondays, but no matter, we continued to set about for our departure—arriving for our 5:10am bus at 4:00am at the Nybagogo bus park. I decided to forgo sleeping the night before and so I was rather loony (more so than usual) as we boarded our green “pimped out” Taqua bus. We all got assigned seats together and moved slowly as we prepared our home for the next two-ish days. The bus wasn’t all that bad actually. I mean, would I choose it for a dream home? Heck no. But it was a neat experience to drive (especially for only 50 bucks) across the entire country of Tanzania; we cruised by rural villages—desolate, dry, and full of secluded mud huts with small pockets of people. The densely populated greenery of Rwanda felt like another world. We had one major stop in Dodoma (at an African version of a rest stop) of about 4 hours so the drivers could have an extended rest. Dimly lit shops offered meat, eggs, chips (fried potatoes, French fries if you will), tea, and bread among other things. In the pitch black of darkness, Sara and I shared a delicious ginger infused East African Tea, with some doughnuts. We passed the hours talking to a lovely and kind Tanzanian woman, Hilda, and using whatever light we could find to read our respective books (I was reading Running the Rift, an incredibly written story of fiction based on the history of Rwanda—a young Olympic hopeful runner has to navigate his dreams as the Genocide becomes more of a reality in the mid-90’s in Rwanda). After sunlight broke through in early morning and the sky settled into its morning routine, we arrived in Dar es Salaam—the next point in getting closer to Zanzibar, a large island off the coast. We found our way to the ferry with bags underneath our eyes and arms, bought our second class tickets (we are PCVs after all) and braved the crowded cluster of people: tourists, Zanzibarians, workers, and everyone in between (crowds were extra high—of course it’s sweet summer time, but also because a lot of Tanzanians like to go to Zanzibar during Ramadan). I didn’t think twice about our safety on our catalina-esque boat. I had expected something of a huge barge—like the one you take to Staten Island in New York, and instead we got the Kilimanjaro III, a big speedboat machine. Classy. Sara and I joked about hitting a ‘sandburg’ as if we were on an African version of the Titanic or something, but this joke was silenced and shamed when people next to us on the top deck began to freak out. Rapid pointing and rushed voices made us suspicious. Dolphins? No. Try a sinking ferry. My glasses were buried beneath an assortment of fruit, books, and notebooks in my bag so I didn’t get a direct look as the ship went under. But, when we docked in Stonetown (the main town of Zanzibar), the staff all but threw us off the boat—our ferry was becoming the rescue boat to try and save what we heard was over 200 people on a ferry that was just 200 feet away from us. Later, when we nuzzled on indescribably comfortable couches and pillows, we processed what happened out there. Peace Corps called checking in. BBC highlighted the news. Wow. What a close call. Life sure is weird. After the ferry craziness, we met Stonetown, Zanzibar, embracing the old washed over buildings, the fishing boats tumbling over the water, and a hellish amount of money hungry taxi drivers. We spent the first hour or two in what felt like a time portal where we lost time doing nothing. We hired a taxi who drove us in circles to an ATM and then switched us into a mini-van like you would find back in the Burbs. Whatever, I thought. Let’s just get on our way. In efforts to save money (no surprise, our visas were double what they thought they would be and the price of the ferry was a big chunk of change) I had a mixed salad for dinner. It was extraordinarily underwhelming (as a mix of cabbage, peppers, and carrots could be) but our free breakfast every day (mango, passion fruit, chapatti, nutella, egg, and watermelon) redeemed the food question in full. Plus, Baby Bush Lodge left tea and coffee out all day. FOR FREE. Heaven? Yes. We’re barefoot. 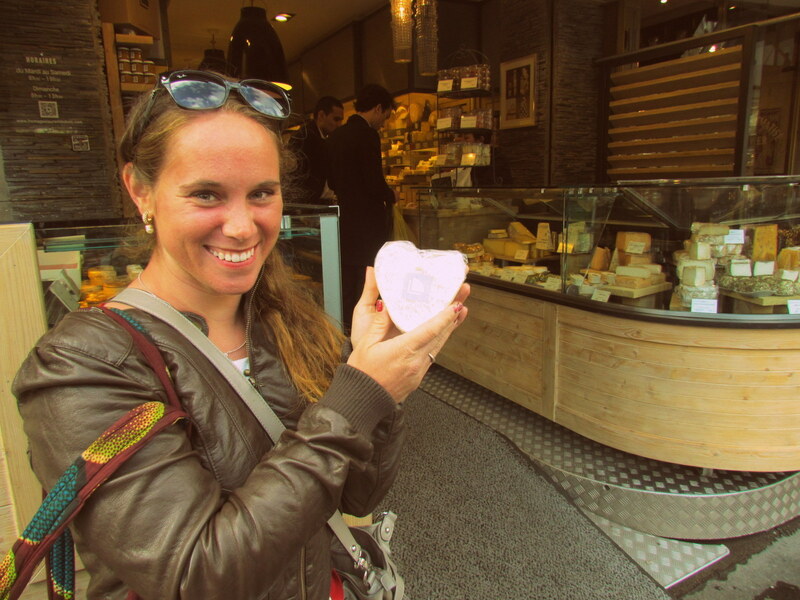 And I’m a tourist…which is pretty awesome. Never thought I would be so happy about that. It would be only a couple of days later when I received the news about the shooting at the movie theatre in my hometown, Aurora, Colorado. Relieved that my family was unharmed but deeply disturbed by the pain that many community members were dealing with, I felt adrift, sad, and somehow, in world of paradise, homesick. Pure light surrounded me—above, below, between. The white pearlish sand snug tight in the crevices of my sneakers, the sun baiting on my pasty white skin lined with sweat and sunscreen. Low tide. The water—green, blue, navy, and teal—watched us run by waiting for wind to bring it to shore. Catie, a Boulder granola crunching athlete ran yards ahead of me. Seaweed squished beneath me with every other step. For months, I’ve ran on the dusty village roads. Here, it was me, the sand, the water, and light. Tears brimmed my eyes. The weight of worry, anxiety, and looming decisions bounced off my heart like a toddler on a trampoline. Music from Relient K strung along and everything lifted with the light. No matter what happens, I’m okay. I’ve slept about 8 hours over the last couple of days. Typically, vacations are for sleep and relaxation. But, we travel a bit differently I suppose. After a few serene days at the beach, we altered out travel plans just a bit (turns out later, this would cause all kinds of disruptions and changes in our trip) so that we could stay a night in Stonetown. We tasted Stonetown one of the nights we were exploring outside of our beach area, and we loved it. Stonetown has this lively, delicious, yummy (did I mention DELCIOUS!) night market. On the menu at a variety of stands to choose from, you can have Zanzibar Pizza (including one with banana and nutella), a sugarcane juice drink, falafel, and meat kabobs. Rwanda doesn’t have street food (its bad culture to eat in public) so this was like the mecca of food for us. We were beyond excited. Our night peaked well before the night market though, as we walked around exploring, and stumbled upon a place with happy hour. Not only did they have happy hour, but hello, mojitos and daiquiris were on the menu. Moreover, the place that hosted this delightful happy hour was on the rooftop of a hotel/restaurant that made you feel like you could have been in the Caribbean, in Morocco, or in an old European city all at once. We referred to this place as heaven. Believe me, it’s about as close as you could get. We laughed over drinks about our nights on the beach with the Masai people (a pastoral group of Africans in Northern Tanzania and Kenya—look them up, they are pretty cool), about our ridiculous Peace Corps lives, and just how cool of a place Stonetown was. We also spent a majority of our night looking for a place to stay. Our situation…well it was somehow complicated. 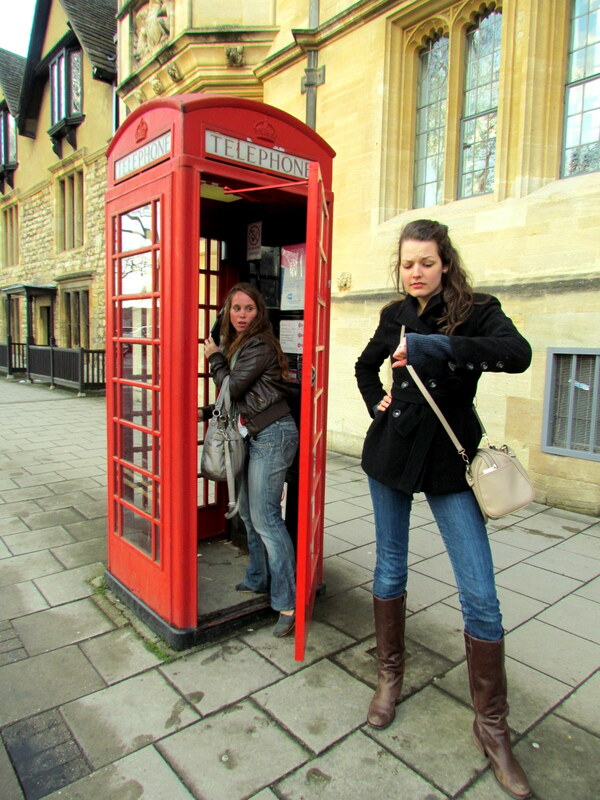 We had managed to book lodging, but with our numbers and shortage of money…that option fell through. So, I’ll just say we made it work. 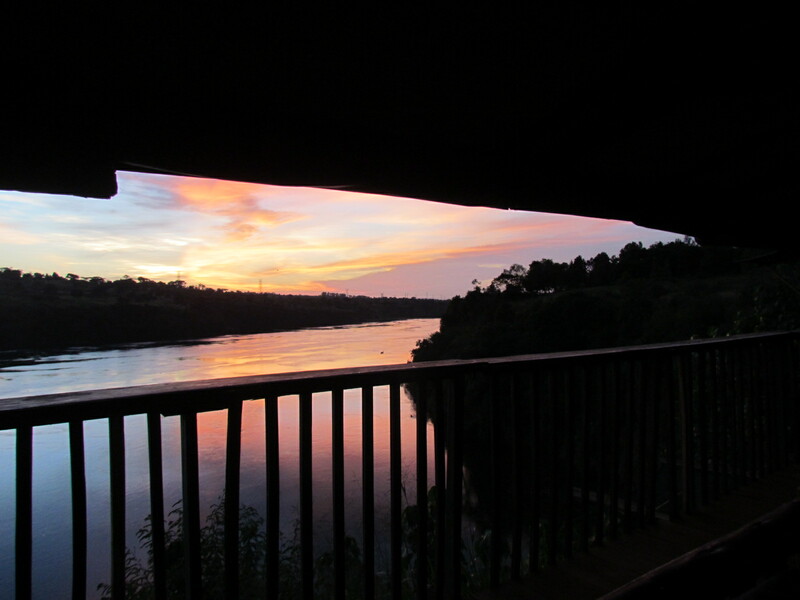 We managed to find a hotel room for an affordable price…and well here’s a little akabanga (secret). We had to leave the room at 5am (per the hotel manager; it was a part of our little bargain) and so we stumbled weakily (we were half way asleep) onto the beach right off of Stonetown and slept for 2 hours until daybreak came. That’s right, I can cross that little goal off the bucket list: to sleep on a beach. Done and done. Subway was once a fast food sandwich stop that was frequently the food of choice for our hockey team along the stretch of highways throughout Arkansas, Kentucky, Indiana, and Tennessee to name a few. Ellie, our coach, would reluctantly trudge down the narrow aisle of our coach bus, taking stock of our Disney themed blankets (growing up is so overrated) and would ask, “what about Subway?” Our choices were often limited mind you, and as college hockey players, a Big Mac before an 80 minute match wasn’t a sensible option. So, I don’t blame her. But for the past 5 years, well, I have cringed a little at the sound of a Subway foot long. Trust me, I ate a lot of those. Once, even a foot long and a Big Mac in the same day—but that’s another story, first date material, I’m sure. Yesterday, after a rocky ride into Dar es Salaam on the ferry we found lodging (The Rainbow Hotel—no messing around with lodging this part of the trip!) and perused the vertical and horizontal blocks of the city. Indeed, a city it was! A local said Dar (the capital of the East African Community) is home to 4 million people. There are tall and large buildings everywhere, smog, people moving all over the place, and lots and lots of cars! Kigali too is a city, but this one is on a much larger scale, a little more worn in, and on top of everything else, it sits right on the ocean. We found a shopping center complete with jewelry shops, a supermarket, a pizza place…and a Subway! We opened the door to the extraordinarily small version of America’s popular chain and the fresh bread got me so excited that I jumped up and down. I got as close to a version Ali and I always go back on road trips (chipotle chicken) and my tummy was pretty happy as Southwest ranch dribbled all over my face. I do love Rwandan food and African food at large, but sometimes there’s nothing like eating something familiar to your taste buds—even if it is Subway. 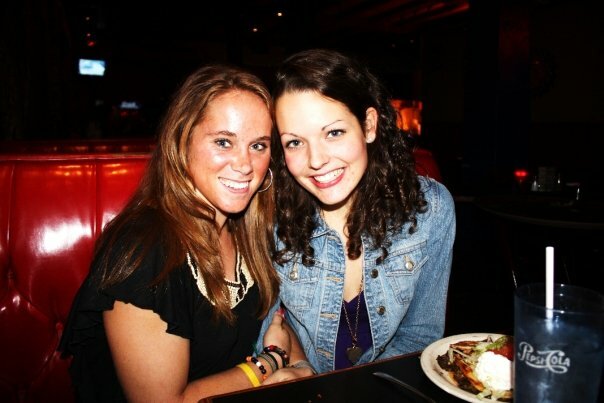 It would be fun to say that our stay in Dar was full of intrigue, crazy nights, and spontaneity. But, truth be told, our exhaustion had set in, so following our shopping trip and Subway afternoon delight, we went back to our hotel room with cable and watched TV. And you know what? We had a marvelous time. Though I wanted to keep the channel on the field hockey sports channel (the hotel was Indian owned, and thus a lot of channels about popular Indian sports, like cricket and field hockey) I compromised and we spent a great deal of the night watching the Discovery Channel and Animal Planet. We’re cool, we know. 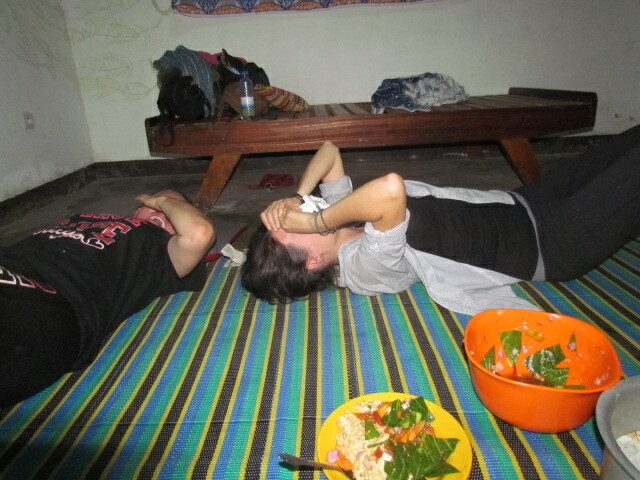 We tried to catch some sleep as well, because our next leg of the journey—on to Moshi (close to Mt. Kilimanjaro—would begin with yet another bus ride (this one would be about 8 hours) at 6:00am sharp. 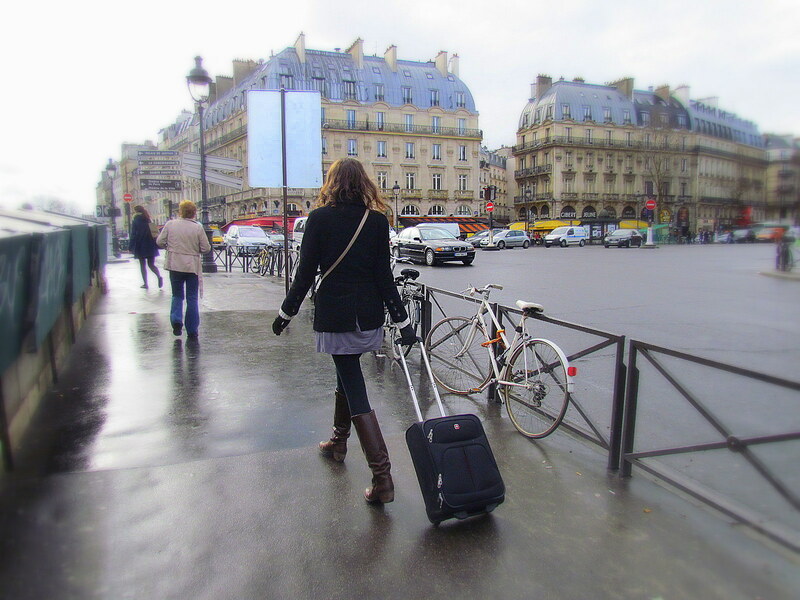 Traveling nomads? You bet. Sweat, heat, frustration and exhaustion wraps itself around my body. It’s 1:00am. There’s screaming outside from men leaving the bar and their never-ending billiards game. Mosquitos and flies filter in and out of our holey white mosquito net. All five of us are sharing one queen sized bed. The end of our travels has brought us here. Stacked against each other, I have to move. I reposition myself at the end of the bed, curl up, and hope for sleep. We are leaving for Rwanda in the morning (from a place a couple hours from the border, called Kahama)—two days later—and sleeping on a bus with bumpy dirt roads at times proves fruitless. A few days ago—was it three? Two? I’m not really sure anymore—we spent a couple of days in Moshi, Tanzania. Moshi, the greenest town in Tanzania, reminded me of an African version of Boulder, Colorado. It was much cleaner than other parts of Tanzania, the people were incredibly friendly (our customer service at the Twiga Hotel was some of the best I’ve ever received), and as a base to Mt. Kilimanjaro, it’s beautiful! We spent the majority of our time in Moshi (I just also love saying that name—reminds me of Yoshi from Mario Cart) outside exploring (we got to see rice fields, a forest, and a waterfall), at our hotel eating (the grilled cheeses were too good to be true, and they were showing Olympic replays from Beijing before London 2012 began), and at a local coffee shop that was just about the best place you could ever get coffee, smoothies, or delicious food from. The Coffee Shop (that’s what it’s called) is located in the middle of town and has the coolest vibe going for it. You can sit out back, among trees and the patio, and order everything from espresso, to a mango smoothie, to coffee cake, to waffles, to quiche. Inside, it has a huge board full of houses available to rent, yoga groups, cooperatives in Moshi for women, and travel trips to climb, hike, or camp in the mountainous areas. Like I said, it was a cool place. As a group, we loved Moshi, and I am definitely pushing for a reunion there in a few years. 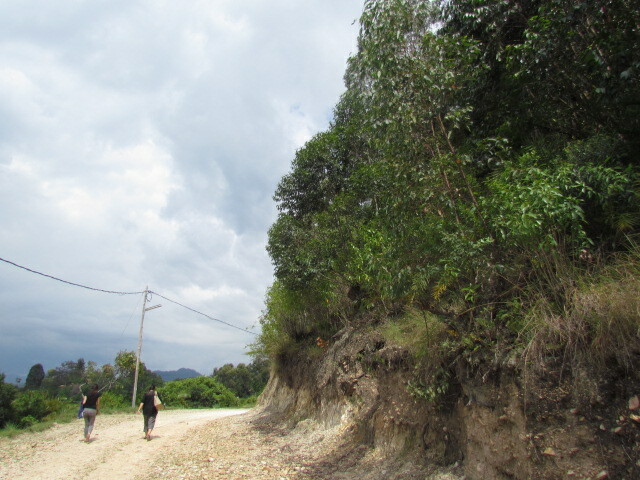 Only next time, we can actually climb the mountain (it’s expensive; thus our choice to do activities near the base of the mountain only)! Because we wanted yet another extra day in Moshi (we loved it that much; and hey, why not extend our epic vacation?) and we realized we could not get transport from Moshi to Kigali, we had to wait another day and catch a bus to Arusha (about an hour away) and organize transport there. Arusha was less than impressive, in my opinion. It was somehow a big city, with a lot of things happening (and I noticed a heck of a lot of shoes for sell) but I wasn’t really sure how to navigate myself around there. I suppose I was just disoriented. That can definitely happen in African towns. We managed to buy overpriced tickets to Kigali (we would later find out that direct tickets wasn’t exactly true; the tickets took us to Kahama, about 2 hours from the border, but we would have to wait an extra day to continue the trip), get another shared room at a lovely establishment called 7-11 (I’m not kidding) and find some food for the evening. We went to a hole-in-the-wall place for some traditional dishes (I opted for some doughnuts and tea—actually quite satisfying) and to finish our meal, we bought corn on the cob with lime juice and salt. Quite tasty! After exploring Arusha as much as we really could (and felt up to doing) we finished our night together with a screening of Twilight on Catie’s laptop. Vacation rocks. Like I said, our tickets didn’t take us home in one day like they were arranged on the front part of our vacation. 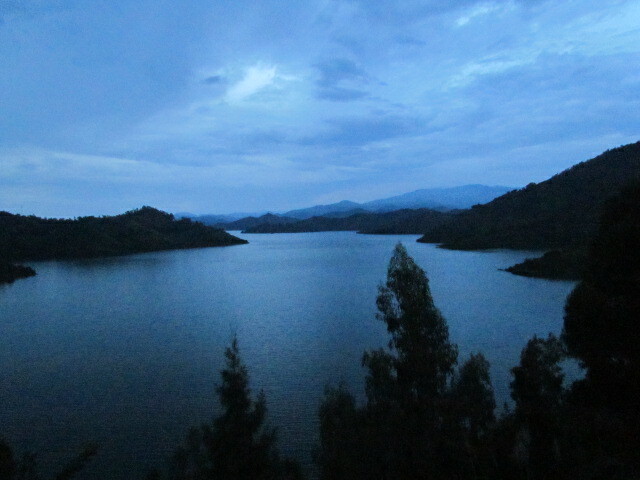 So, we had one more day close to the border before we could finally get moving in the direction of crossing the border back into Rwanda. 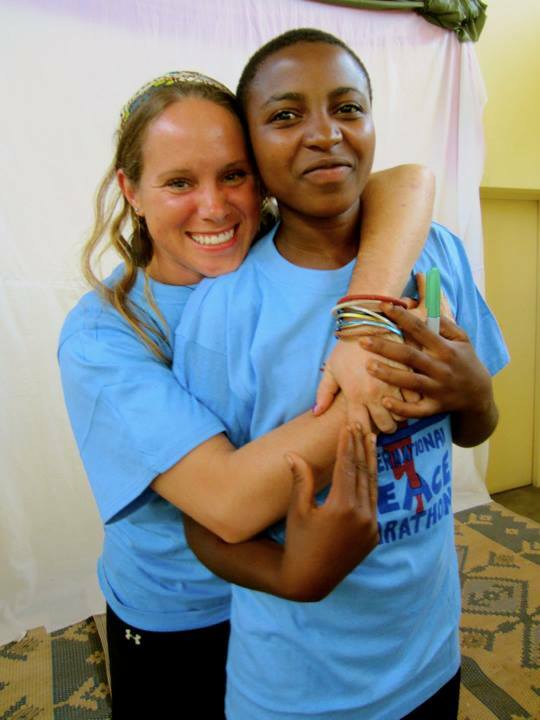 We had to keep Peace Corps informed on our whereabouts, and because we had no money, and also had no way to buy phone credit (we have a different company than Tanzania offers) our security officer sent us credit to get in touch with people in Rwanda to inform them about arriving late. We crossed into Rwanda about 10 days after we had started, and it sure was nice to speak Kinyarwanda again, to see those good ole banana trees, and just to feel at home. Traveling is one of the best life experiences, but it’s also great because you always get to go back to where you started. I felt strangely exhausted and refreshed at the same time. I had a bit of everything while in Tanzania—we had beaches, we had the Obama Bar, we hung out with Masai men, we had cities, we had American and Tanzanian food, we had bus rides, boat rides, long walks, laughter, stress, heat, coldness, and we had one hell of a time. I got to do all of this with some great friends and it’s such a great opportunity to get to know Africa just a bit better. Africa has to be one of the coolest continents in the world. What a few weeks it has been: I went from all of this in Tanzania, to GLOW Camp, and now, finally, finally, I get to be home. It’s fun to tell my neighbors, students, and friends, all about my journeys. Sometimes, I can’t really even believe it myself. As a recent running convert, I have never actually done any sort of “organized running” you might say. You know, 5K, 10K, and marathon races. However, there certainly is a first time for everything and why not raise the stakes when living in East Africa? Thus, I decided early on in my Peace Corps experience that I wanted to participate in the Kigali Peace Marathon. The marathon itself draws a decent crowd, I would guess around 300ish runners—maybe even more? 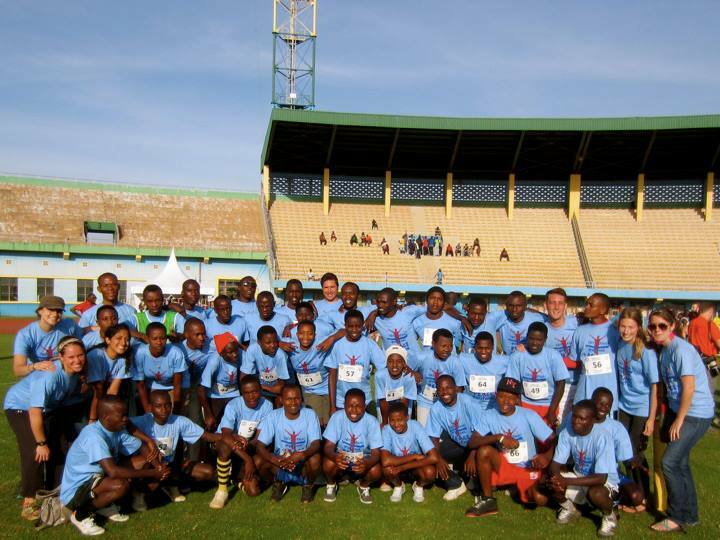 This year, 20 countries were represented (and shocking, Kenya dominated in all categories) and in the 8th edition of the race, the Ministry of Sports and Culture dubbed the theme as, “Sports as a tool to fight against youth drug use” (why it couldn’t simply have been “anti-drugs for youth” or something is beyond me). The course began and ended at the bright and bold green and yellow Amahoro (meaning ‘peace’) Stadium where football matches of high regard are often held. I have to say, in entering the stadium to get to the starting line, I let my imagination go a little wild, and felt a sliver of what it might feel like to enter the Olympic opening ceremony (that could also be a severe exaggeration). It was hard to not feel like a rock star, and I certainly wasn’t alone. Among me and my Peace Corps friends, we cheered for ourselves, pumped our fists, and did a little dancing. We’re weird. Nobody around barely turned a head (they were busy with the serious business of warming up) but hey, we were having fun. I really had to use the bathroom beforehand and I had to move quickly; the race was starting only 30 minutes after the scheduled start—that’s like being on time in this part of the world. Of course, toilet paper had yet to be provided in the stalls and well, let’s just say I had to improvise, Drastically. I found my way to the mass of adrenaline-induced runners with my small green IPOD shuffle in hand. It’s what I call a “special” IPOD because the part where I can change the song is broken and so though it still functions, I have to listen to whatever comes on the shuffle, whether it be Lady Gaga, the Dave Matthews Band, or a reggae inspired African jam. I wasn’t deterred; I was simply hopeful that I’d get some dynamite-pump up songs like My Time or Warrior as opposed to my inappropriately extensive Celine Dion collection. Celine is great…but not so much when trying to run miles and miles in the roads of Kigali among East African beast runners. The muffled sound of the race MC was gargled and hard to understand, but as he counted down to 1, I realized that it was just about time to go! I fist-pumped with Nate, another Peace Corps Volunteer and we were off! My job was simple: I was the first runner of our four-man relay team. Our team consisted of me in the first spot, Jon, Sara, and finally, Meredith. I was hoping to set a good pace and a good time for my team to follow. I started the race right around 7:23 am and came trotting back into the stadium, sleeves rolled up, banana stains on my hot pink shorts, sweat running down my face after close to an hour out on the trail. That brought my pace to about a 9:00 per mile pace—the best ever recorded? Hardly. But, pretty solid for my first official run. 7:23: depart Amahoro stadium in the first wave of runners. Run past the few camera-men. Smile. Grin. Keep good form—don’t appear too inexperienced. Have a couple second freak out: I am only spotting the numbers and colors coordinated with half and full marathoners. Did I leave with the wrong group? I am running with the relay, and I sure as hell am not running 20, 30, or 40 K!! ….have a sigh of relief when realizing that everybody runs the same course. The relayers run the course once. The half-marathoners run it twice, and the big winners of the day, the full-marathoners, run the same course four times. Phew. 7:24: not sure exactly when the second wave of runners was released but, my oh my, did I ever hear those runners coming. I heard the slap of foot and shoes meeting the cement as I simultaneously turned to see about a group of 30 elite Rwandan and Kenyan runners heading my way. I moved to the right side of the road instantly. I did not need (or want) to be trampled by some of the best runners I have ever seen. 7:25: note the time on my watch. Think for a couple minutes about why I continually wear my nice, turquoise watch that I purchased at the Tokyo airport a few years back, as opposed to a more sensible sports watch. Plan to buy sports watch/ask for one to be sent in the near future. Also realize quite instantly, how alone running is. I’ve loved that about the sport during the past few months, but even though I was running on a TEAM today, the actual sport itself comes down to you, and you alone. It’s you, your legs, and your mind. 7:30: feeling pretty good about form and running on the pavement. Was a bit worried about running on asphalt after training for the past few months on the dirt roads in my village…but so far, so good. 7:40: pass the Peace Corps office. The guards in their recognizable bright blue security outfits, are outside the ominous white gate with the Peace Corps insignia, cheering any PCVs they see. 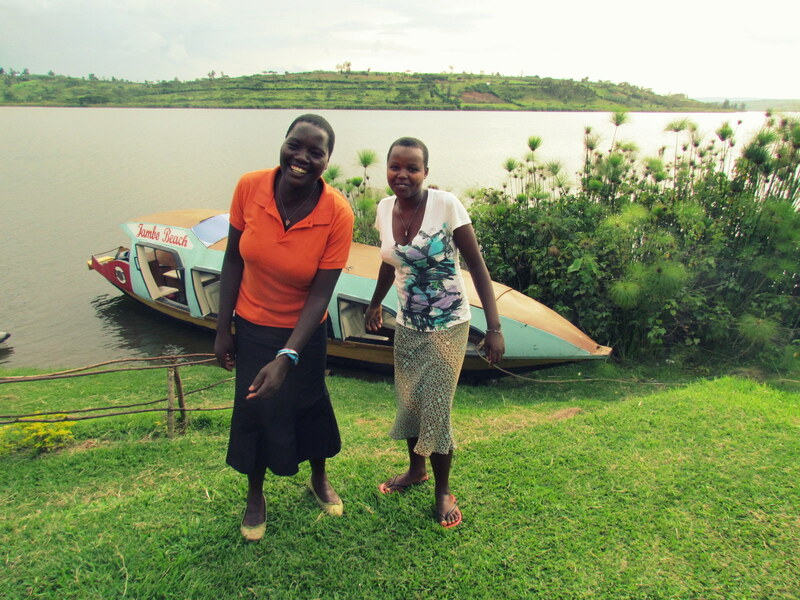 They wave at me, shouting “Komera!” (my most favorite Kinyarwanda phrase—meaning be strong) while smiling fully and warmly. Love them. 7:44: loop back around, passing Bourbon Coffee (really wishing I could have a coffee to go) and the Peace Corps office once again. At this point, tables have been set up full of bananas (and of the crack banana variety—what I call the small, sugary, best bananas in the world that Rwanda has all over the country). A race volunteer scrambles and hands me four bananas. Yummy. I rip each banana open recklessly and without any regard for manners, and chew on these bananas like I am some kind of cave woman. Suddenly, my four bananas are gone and I am empty-handed. Dangit, I think. I might just pay for that later in the race. 7:50: head back in the direction of the stadium along one of the main roads in the city. People are watching as we pass. Some cheer. Some stare. Some laugh. It certainly is Rwanda, isn’t it? 7:53: hit halfway point; 5K finished. Cruising and genuinely enjoying myself. 7:54: run along stations that are in charge of providing squeezy foamy concoctions to each runner so that they stay cool. I would learn this about 2 seconds too late, as I initially tried to squeeze the foam in such a way so that I could actually drink the water. Oops. The men and women at the station gawked and gasped. 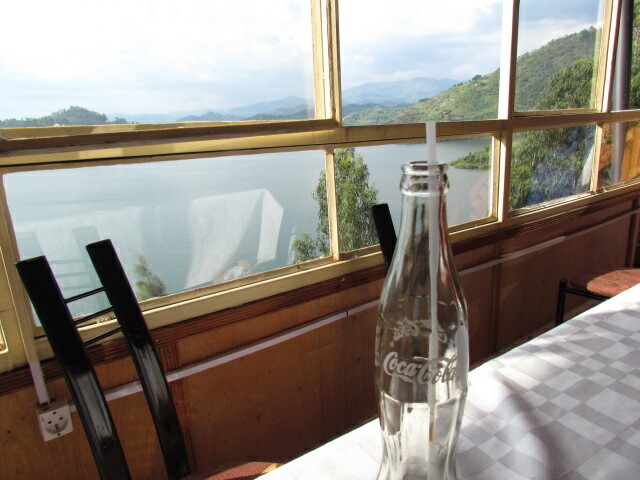 It was then I realized that this water was for my outer skin to be cool from the raging Rwanda sun…oh well. What can you do? 7:55: continue the run towards the eastern part of the city. This includes passing by the stadium…I suppose I thought I was faster than I really was at this point? Because, I somehow thought the race was ending soon because we had come by the stadium. But no. Oh no. We ran along the stadium gates, continued by UN Kigali offices, and headed toward the part of town known as Remera. I am familiar with this part of town especially, because Remera has the bus station that is my destination anytime I am coming from out East into Kigali. 8:00: consume two more bananas. 8:01: begin to regret all of the banana consumption. 8:02: major stomach cramp takes over. Refuse to stop no matter what. Begin to run at a snail pace. Some European man eggs and cheers me on as he runs with his bright blue camelback; after passing me, he proceeds to do a little crowd pleaser by dancing as he runs on by. I don’t have the kind of energy or strength for that. I can barely breathe with these intense stomach pains! 8:05: begin to wonder when I will see the stadium again and descend upon the end of this rather long run. 8:10: cramps subside; feeling better and stronger. Wanting to finish strong and complete the 10K with a smile on my face. 8:12: arrive on the grounds of the stadium. Miss Independent (my former favorite “African song” from Ghana…until I realized it was a classic hit from the AMERICAN, Ne-Yo…oops) is playing loudly on the speakers. Feeling my own independence and strength, I run faster. 8:15: the trail continues in a complete circle around the stadium. Really, I mean, really? 8:20: enter the stadium for one final lap to the finish line. 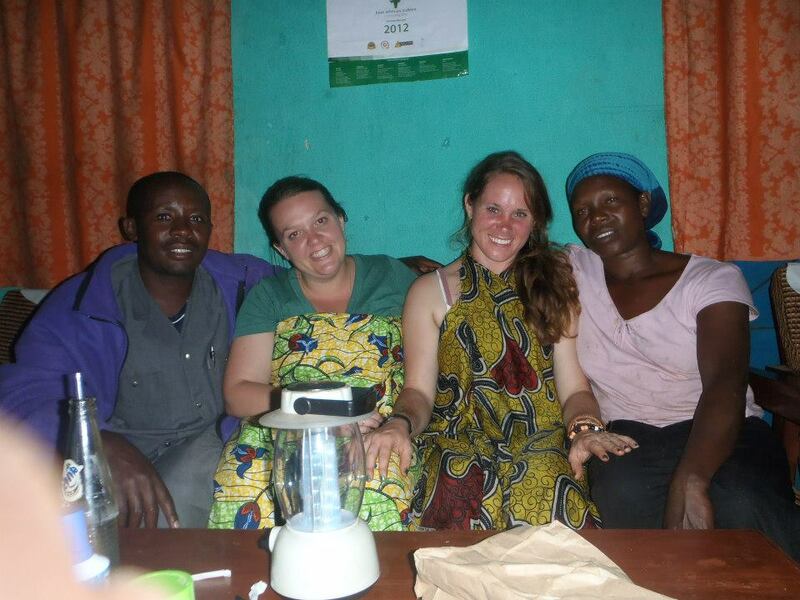 My team and other Peace Corps participants are there to cheer me on. “You got it Heather! Yay!” They are awesome. 8:22: cross the finish line. (!!!!!) realize that I must slap Jon’s hand for him to get going. Hastily grab his hand for him to get going. 8:22 (cont. ): realize just how much my legs hurt. 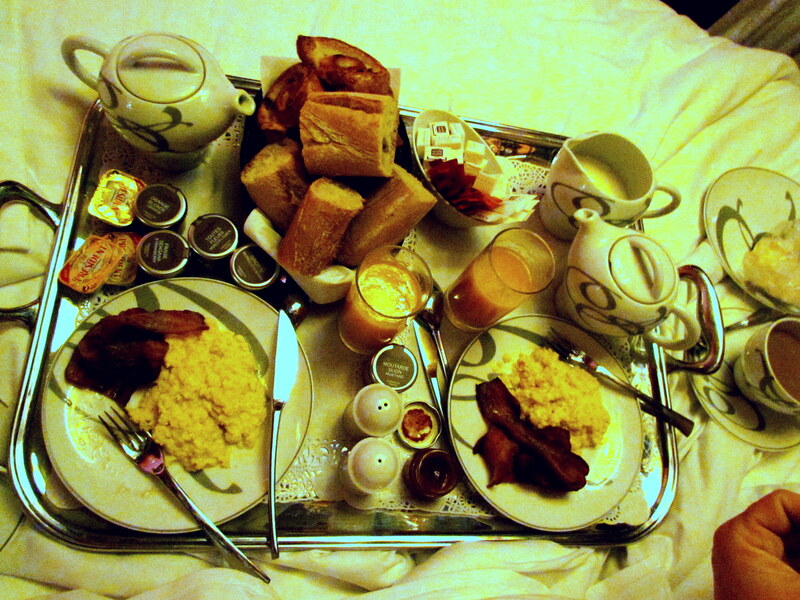 And my stomach. Damn bananas. We waited around for the next few hours as our relay teams finished and some of our friends even did the full and half marathons. Our relay team, bless their heart, finished last (or maybe it was second to last) among relay teams. However, to be fair, our last runner, Meredith, had to deal with a torrential downpour during her run. She has the best attitude though, and only worried about finishing and bringing our team home. We rocked it. As we waited for our teams to finish, World Vision (the main sponsor of the event) workers announced alongside with representatives of the Ministry, the main winners of the day. As already mentioned, the Kenyans dominated. Completely. With the exception of one Rwandan woman who finished in the top 3 for the full-marathon women, all winners were Kenyan. We watched as one man, who only has one leg, and thus uses crutches for support, finished the half-marathon before many other people. He got probably one of the loudest cheers of the day. 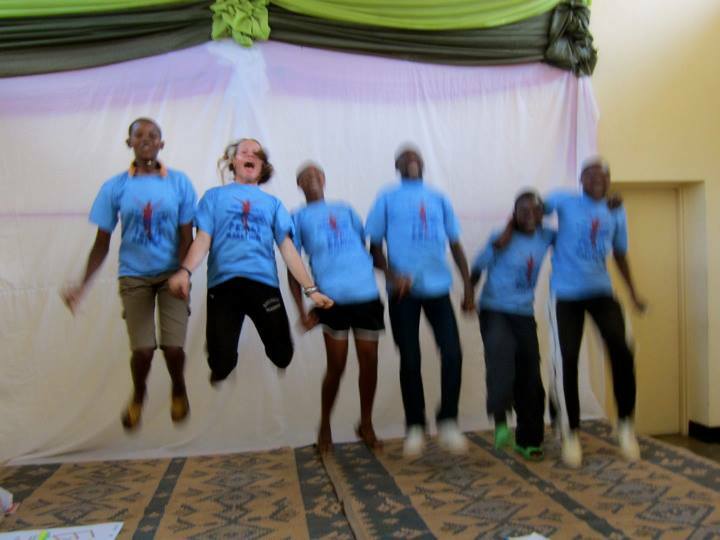 Some of the Peace Corps Volunteers received a grant to take some of their students to the marathon to compete in the relays. One student in particular, was glowing upon reaching the finish line. He’s a short little guy, shorter than me even, but he ran hard and his teammates were so happy for him, and for each other. 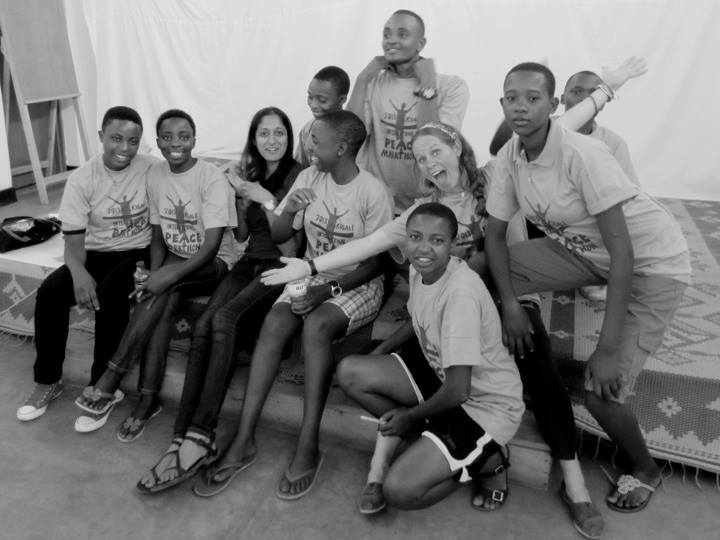 About 20 PCV Rwandan students ran in the marathon, and for them, was an opportunity to learn about nutrition, about sport, but more than anything, an opportunity to do something pretty awesome. That was a great thing to see, and I’m hoping to get involved with that grant next year so some of my kids can come and run! After the rain passed and we made it back to the Peace Corps hostel to clean up, a few of us grabbed a heck of a lot of Chinese food. We ate. A lot. I headed back home that evening, exhausted, but also thrilled that I participated in such an event. Running, as painful, challenging, and difficult as it can be, also opens these doors to clarity, peace, and self-fulfillment. I’m addicted. I want to run another race already (next year, I’m gunning for the half, and have already set my eyes on participating in the Princess Marathon at Disney World upon return from Peace Corps). Running is meditative,..and on top of everything else, great for your health. I’ve lost about 30 pounds—the healthy way—and I think I’ve survived the tougher days when I’ve been out on the trail. I’m not especially good at it, but maybe that’s what makes it so great. You don’t have to be. You do it for your reasons, and support the people around you who are doing the very same thing, even if their reasons are entirely different. my kind of paradise: trees and cold coke.